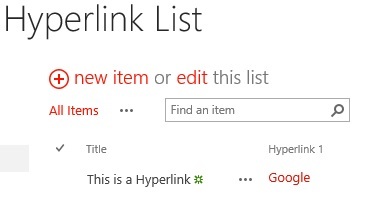 I get a fair amount of requests to open links in a new window, or just to create hyper-links on lists & libraries. Although this may become obvious for some people, it doesn’t for other newbies in SharePoint. 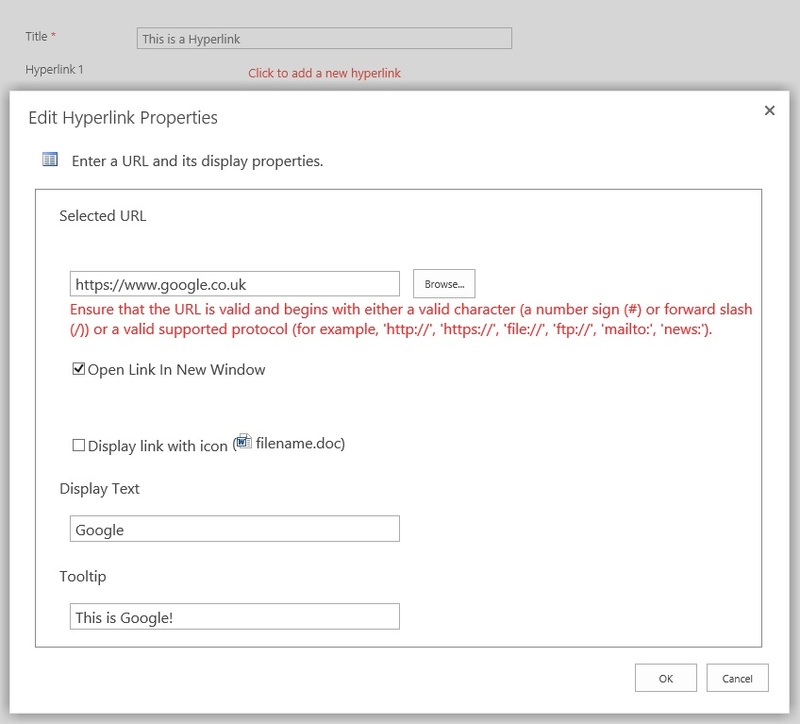 I generally use the ‘Hyperlink with formatting and constraints for publishing’ column. 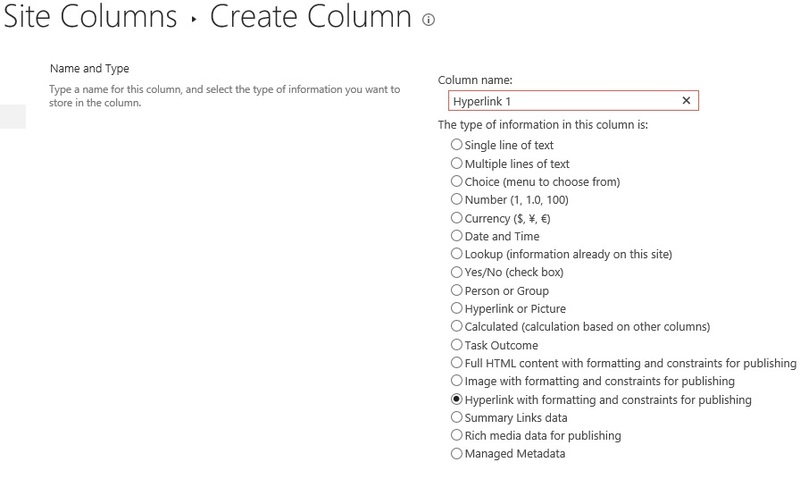 Unfortunately this doesn’t show in the lists/libraries as an option when creating a column. 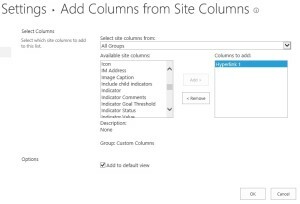 This column has to be done at site level which can be found at Site Settings -> Site Columns (Under Web Designer Galleries). 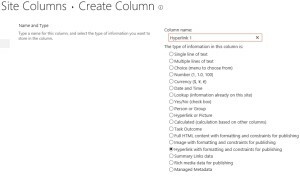 To create a new column click ‘Create’ and fill in the name of the field and remember to select the correct type of column, screenshot below. Save the column and return to your list. 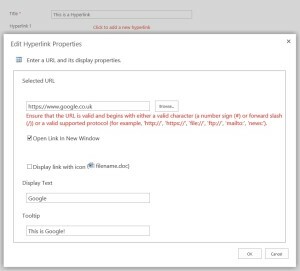 Within your list go to List settings, towards the bottom of the page select ‘Add from existing site columns’ and you will be presented with the below. 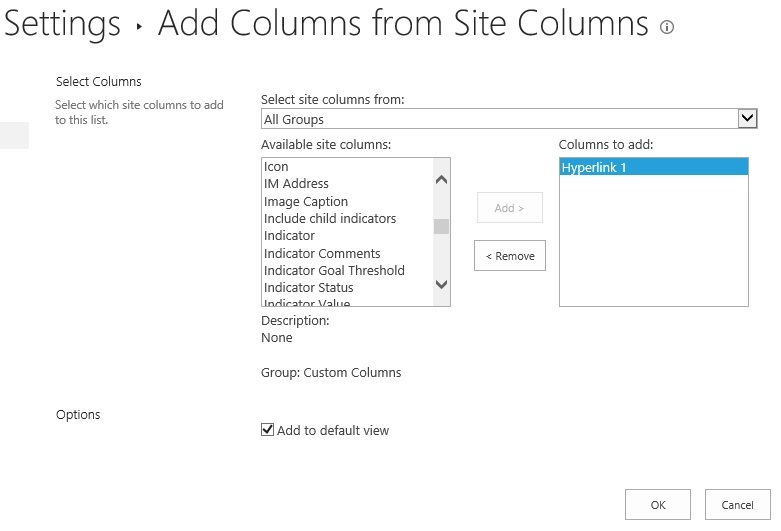 Find the column you’ve just created and click add, then click OK. In your list create a new item and click ‘click to add a new hyperlink’, you will then see the fields that require filling out.